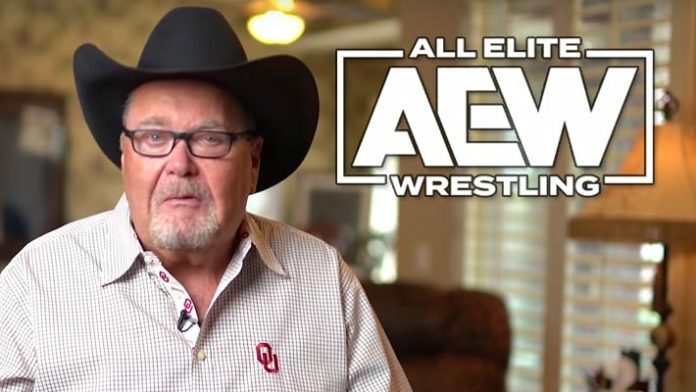 Jim Ross has revealed new details on the AEW commentary team. Jim Ross reveals on this week’s Jim Ross Report that the AEW commentary team will consist of himself, Alex Marvez, and Excalibur. Ross says that he has not worked with Marvez or Excalibur before. Marvez is a sportswriter, while Excalibur is a renowned wrestling commentator, best known for his work with PWG. Excalibur also appeared on the All In broadcast last year, and does occasional NJPW commentary. Ross says that he will be in Atlanta next week to practice with Marvez and Excalibur. “We’re going to do that next week. Two days, two long, full days of drilling and calling matches,” says Ross. “I’m not a big fan of three-man booths,” Ross says. “So how do you fix that? If the company wants a three-man booth, we’ll give them a three-man booth,” says Ross. Double Or Nothing will be the first test for the AEW commentary team. The weekly AEW television show is expected to debut in October. What do you think of AEW going with a three-man booth? Former WWE RAW Tag Team Champion Bobby Roode has received a slight name change and also a new look.